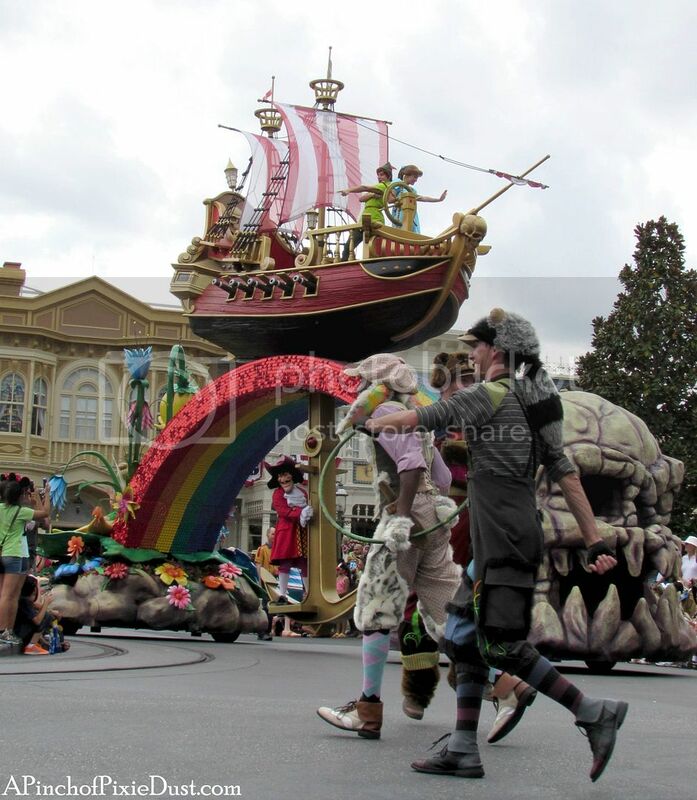 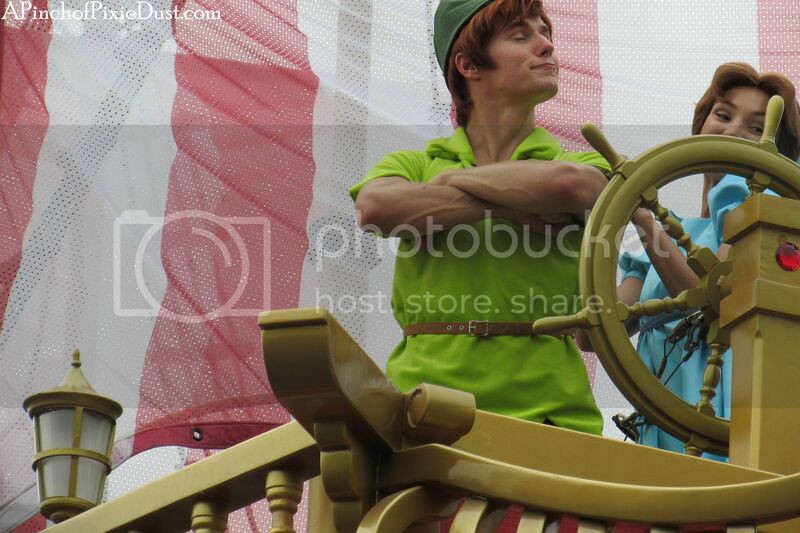 It's the Jolly Roger with Peter and Wendy at the helm! 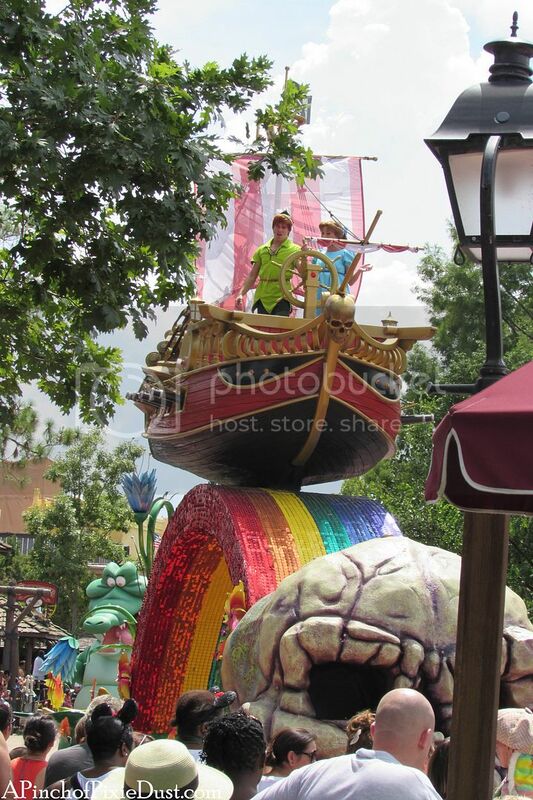 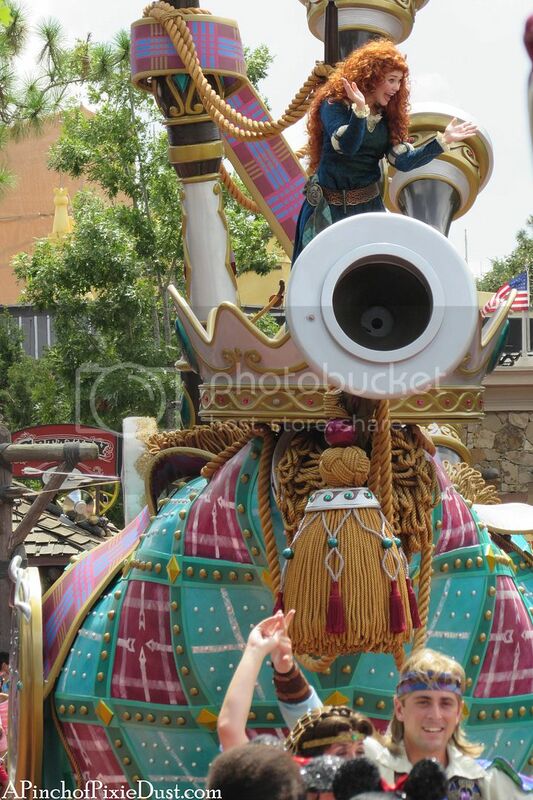 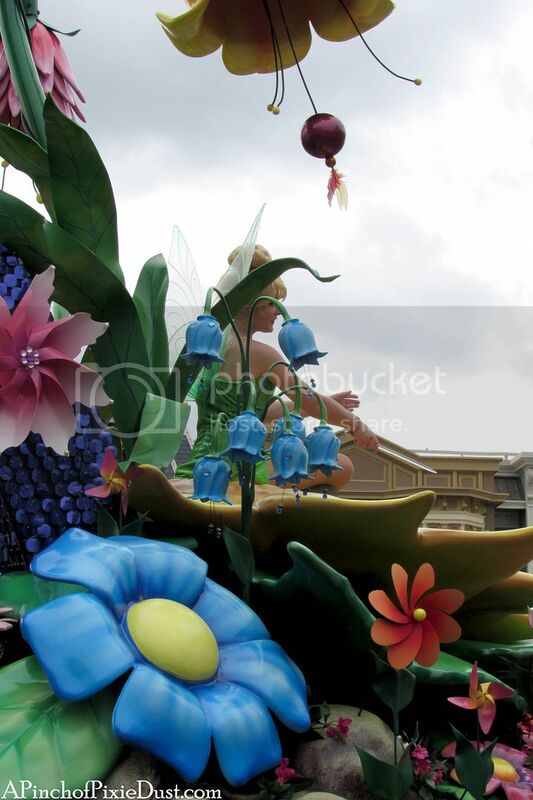 This float follows the Little Mermaid and dancing fishes. 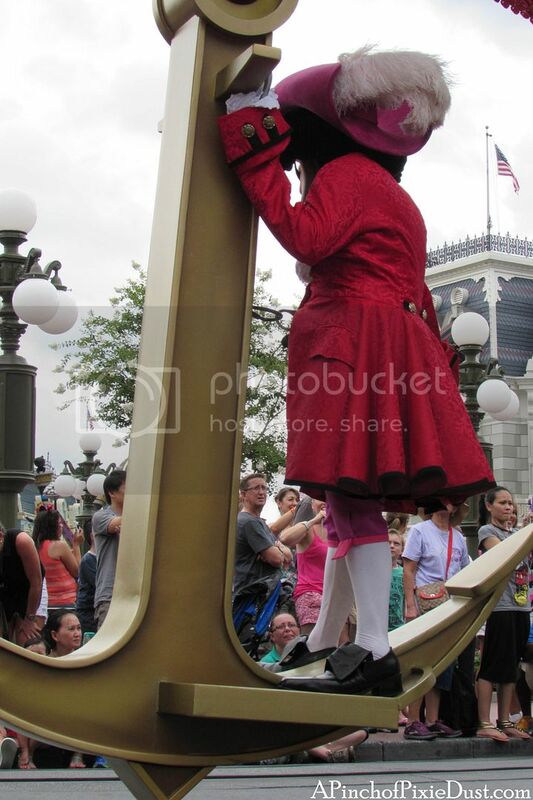 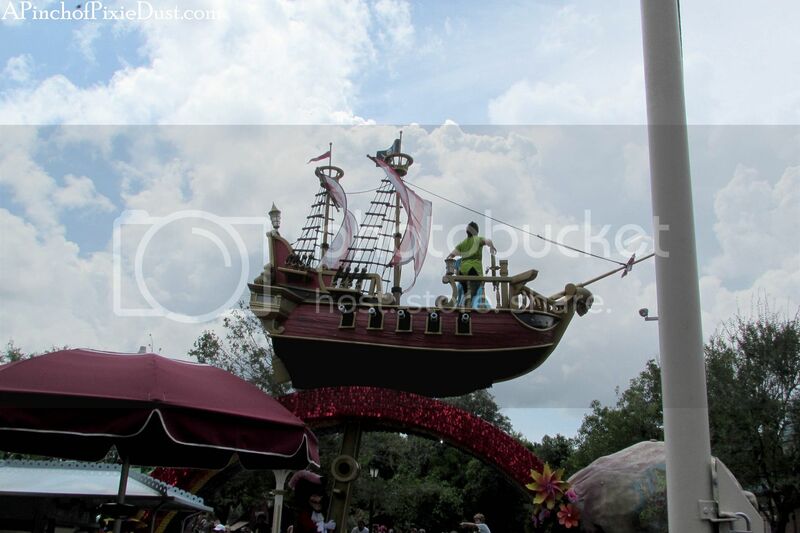 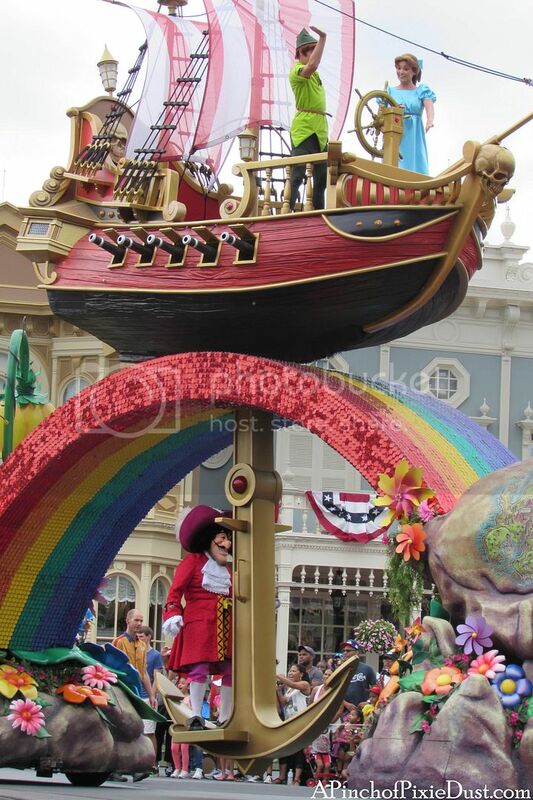 That pirate skull is a little creepy...but then I suppose this was Captain Hook's ship to begin with! 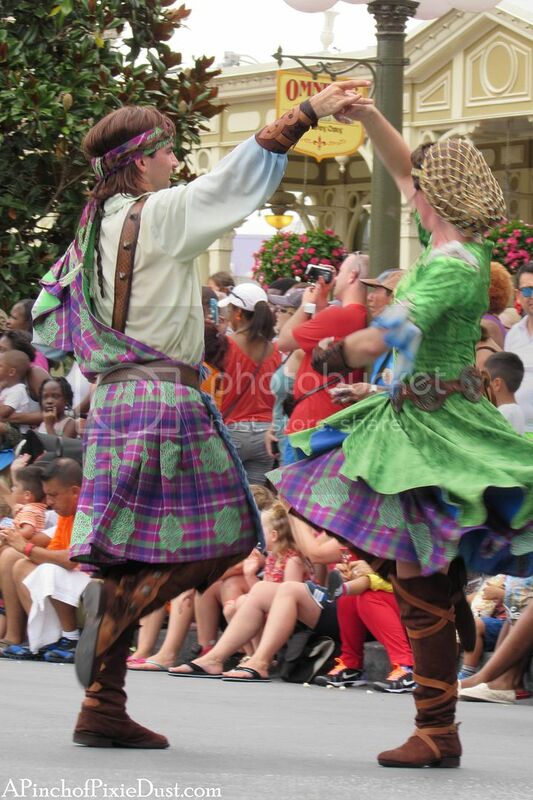 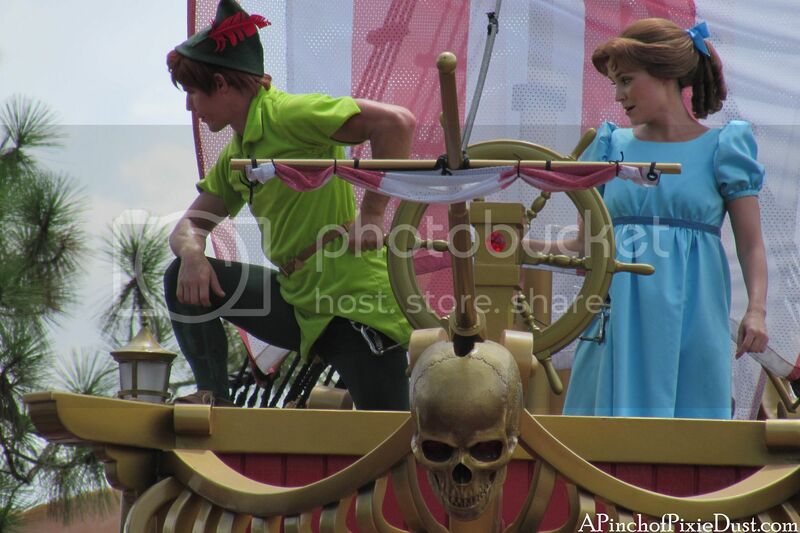 I love watching Peter and Wendy...their movements and poses and expressions are straight out of the movie. 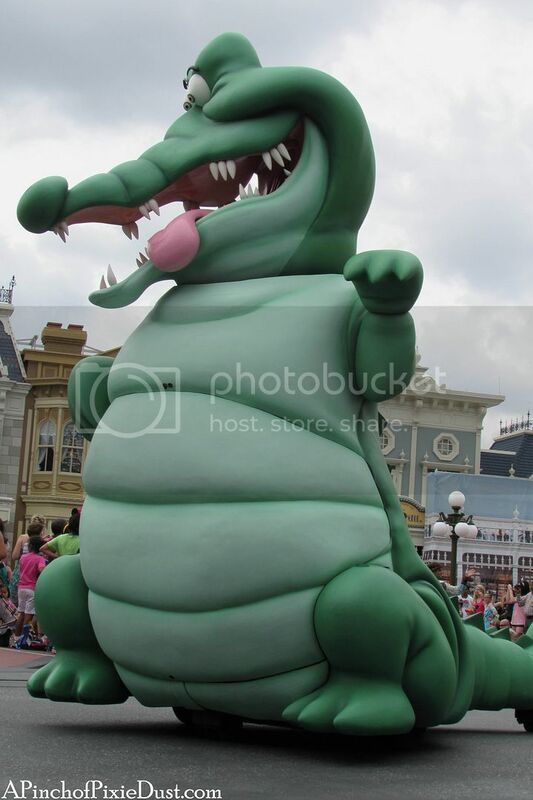 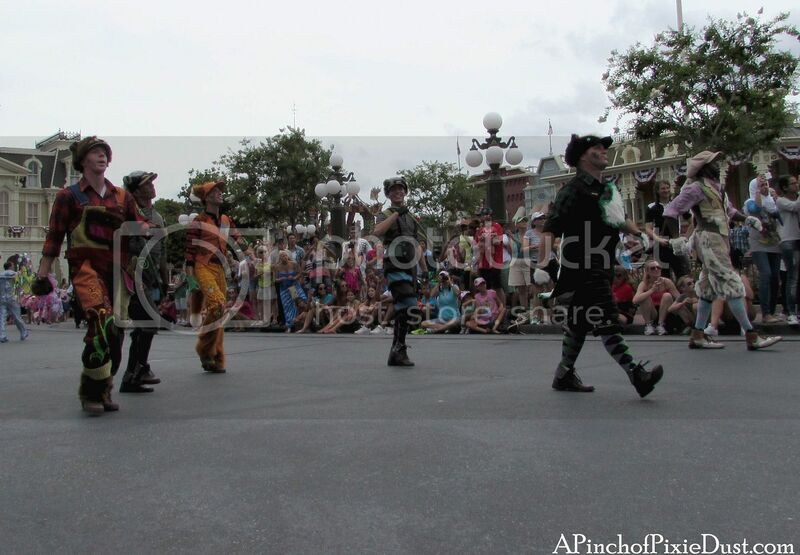 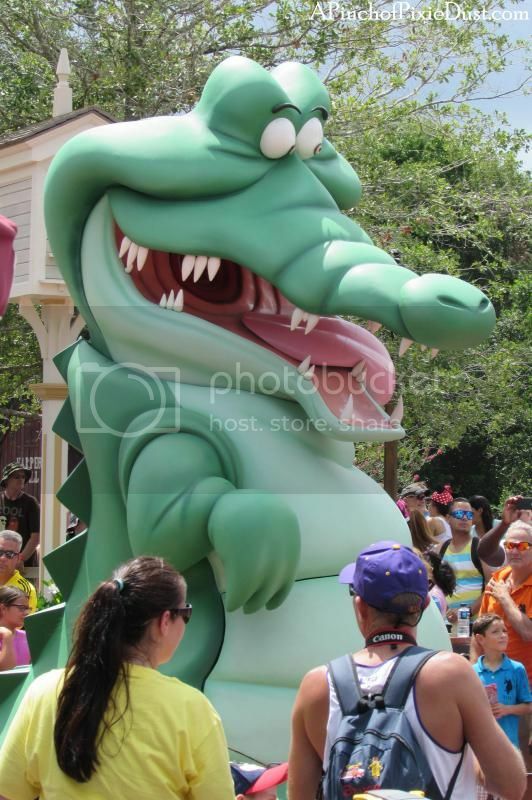 The lost boys have gotten a make-over for this parade. 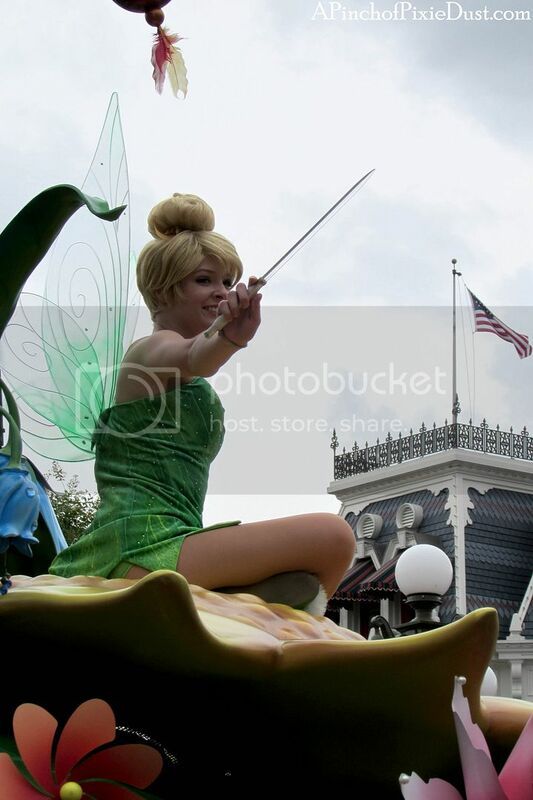 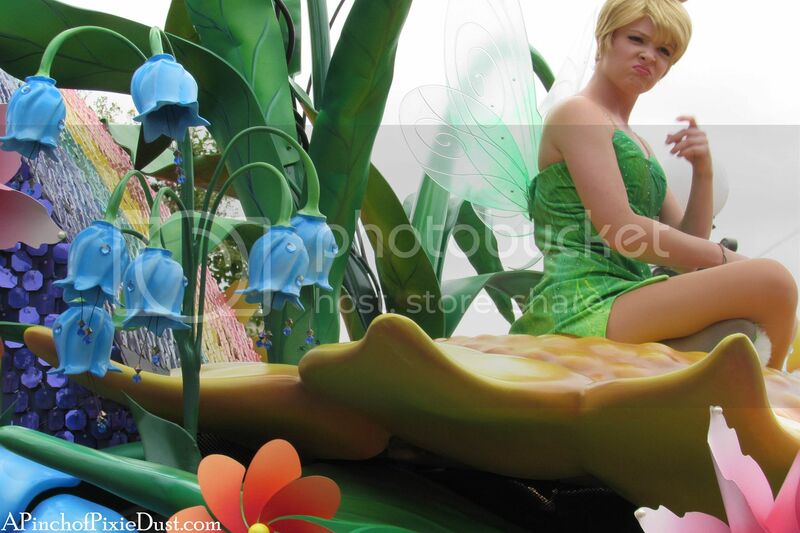 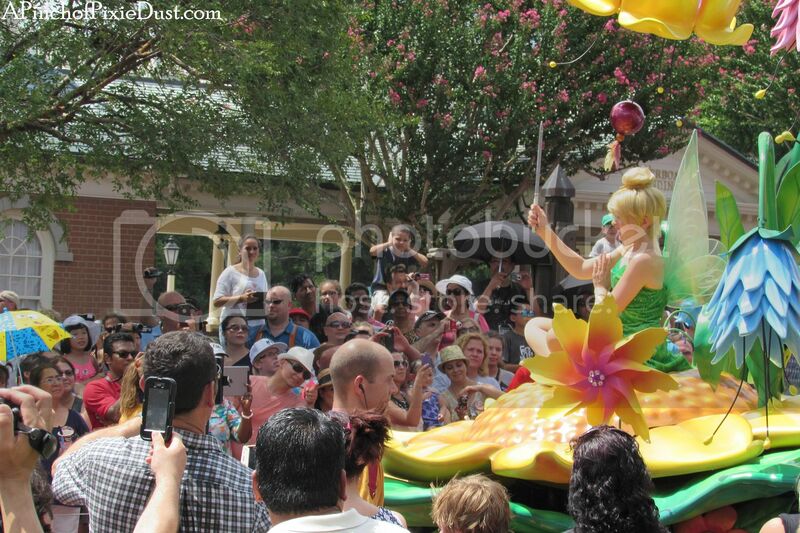 Don't worry...we haven't forgotten Tinkerbell!